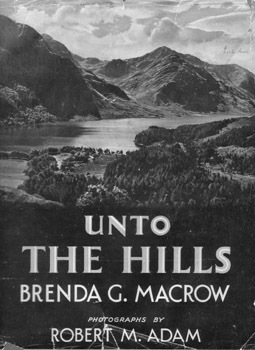 This book is one of a series produced in the late 1940s and early 1950s by writer and poet Brenda G. Macrow and photographer Robert. M. Adam which includes works such as Hills and Dales, Kintail Scrapbook, Speyside to Deeside and Torridon Highlands, copies of which can readily be found at many used book sites on the internet. Macrow and Adam were the perfect team. Between them they were able to capture the drama and glory of the Scottish Highlands and make it available to an urban population still recovering from the deprivations of the 1939 - 1945 war. 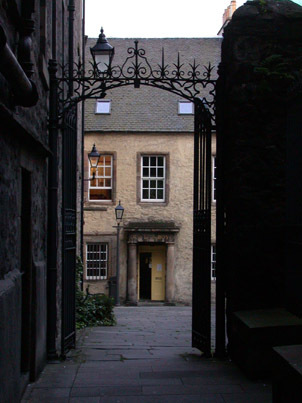 Their books were a resounding success and many a summer holiday in Scotland was planned as a result of their work. 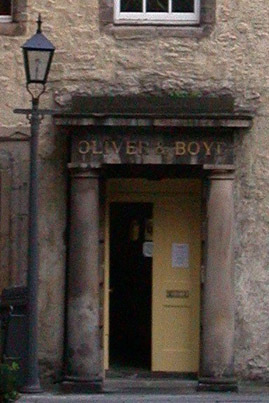 The book was published by Oliver and Boyd, the famous Edinburgh printing and publishing firm established in1815. that run off to the side of the Royal Mile in Edinburgh. at the end for many years. LONDON: 98 GREAT RUSSELL STREET, W.C.
A SERIES of delightful short essays and descriptive poems, each recapturing and crystallising some moment of supreme happiness during holidays among the hills of Scotland from Edinburgh to Wester Ross, and from the Cairngorms to the Hebrides. The fifty-two beautiful illustrations from photographs by Robert M. Adam, reflect and amplify the spirit of the text.